Siam Winery, the leading producer and importer of premium wines, is celebrating the 10th anniversary of its Monsoon Valley Wines by inviting guests and wine lovers to experience the beauty of Hua Hin Hills Vineyard together with fine wines and superb cuisine from some Thailand’s best chefs. Since its launch in 2002, Monsoon Valley has become the essential New Latitude Wine from Thailand. 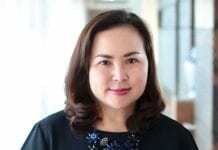 Grapes harvested at Hua Hin Hills Vineyard, the first and only vineyard in Prachuab Khirikhan province, are carefully handled by Siam Winery Winemaker Kathrin Puff, allowing the wines to win international awards year after year, and firmly putting Thailand on the worldwide wine producing map. 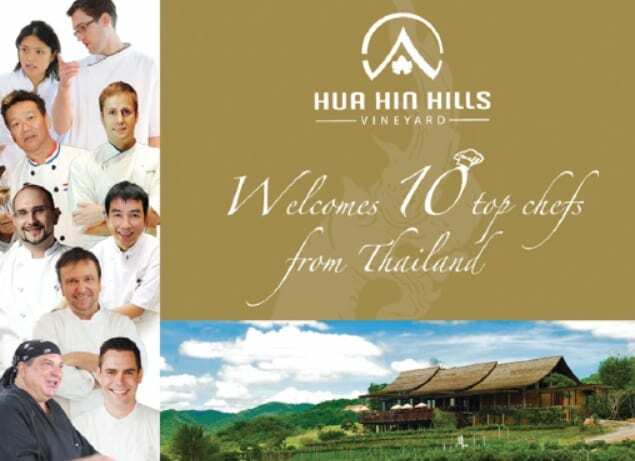 To celebrate the 10th Anniversary of Monsoon Valley Wines, Hua Hin Hills Vineyard is creating several unique events by inviting 10 famous chefs from a range of top restaurants in Thailand to come to Hua Hin Hills and create their own special gastronomic menu, paired with Thai premium wines, Monsoon Valley. Starting this September and until July next year, one of these renowned chefs will visit to the Sala Wine Bar and Bistro every month. The first 3 include Chef Alex Gares from Four Seasons Resort Koh Samui, Chef McDang (M.L. Sirichalerm Svasti. ), and Chef Patrick Martens from Zuma in Bangkok. This program will run from September 2012 through June 2013. Hua Hin Hills Vineyard is proud to offer very special packages each month*. The special packages include a 5-course wine dinner on Fridays and a 3-course lunch on Saturday. Each dish will be delicately crafted by these renowned chefs to perfectly match with selected Monsoon Valley wines. Plus, you can feature riveting cooking class demonstrations of culinary techniques and secret recipe with some of the ten most renowned chefs on Sundays. For your convenient, each package also concludes a round trip transfer from downtown Hua Hin (Market Village) to the vineyard. Moreover, Hua Hin Hills Vineyard will also offer our precious guests with many other interesting activities to enjoy at the vineyard, including vineyard tours on elephant back or creating their own unique wine label. Visitors can take the finished bottle back as a souvenir, to remind them of all the happy moments at Hua Hin Hills Vineyard, or give it to their loved ones as a gift. Don’t miss these special activities and be a part our year-long celebration to enjoy the unforgettable experiences at Hua Hin Hills Vineyard and celebrate the amazing 10 years of Monsoon Valley with us. The list of chefs celebrating Monsoon Valley Wines 10 years in 2012: 1. 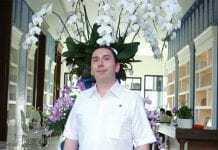 Chef Alex Gares (Four Seasons Resort, Koh Samui Thailand) in September 28-30, 2012 2. Chef McDang (Thanadsri & Son Consulting Co., Ltd) in October 27-28, 2012 3. Chef Patrick Martens (Zuma restaurant) in November 23-25, 2012 To receive further details for the program in 2013 or reservations, please contact Hua Hin Hills Vineyards Tel. 081-7018874-5, 081- 7010222 or visit www.huahinhills.com. Check us out on Facebook www.facebook.com/ huahinhills and instagram @siam_winery. We will have lots of fun with activities and special prizes for our fan page!